It is great to see one of my images almost full page in the November issue of the BBC Wildlife Magazine! Check it out on page 58. 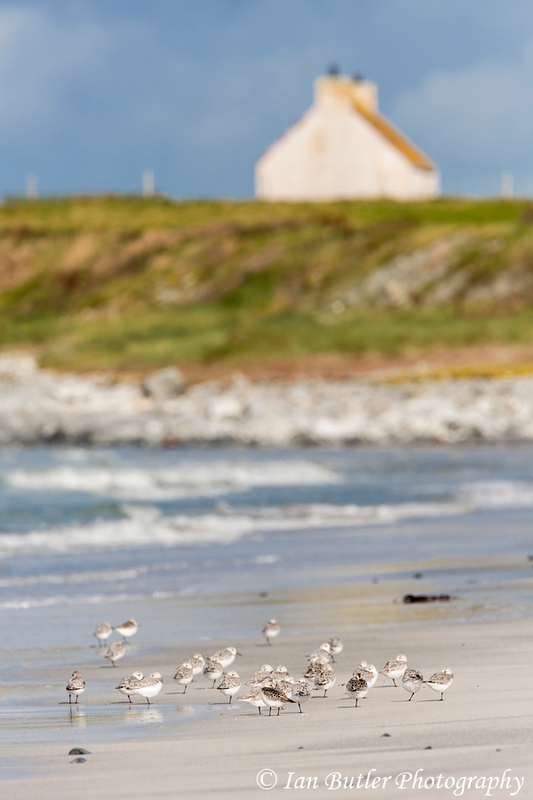 The image is of a group of Sanderling on a very windswept beach on South Uist, Outer Hebrides taken in September last year. 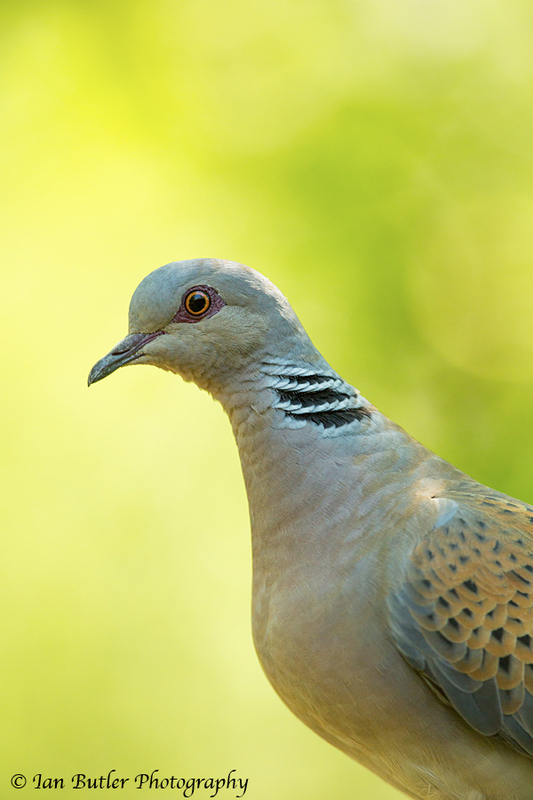 Another image like the Turtle Dove here showing the technique where the background is lit and the subject is in shade. 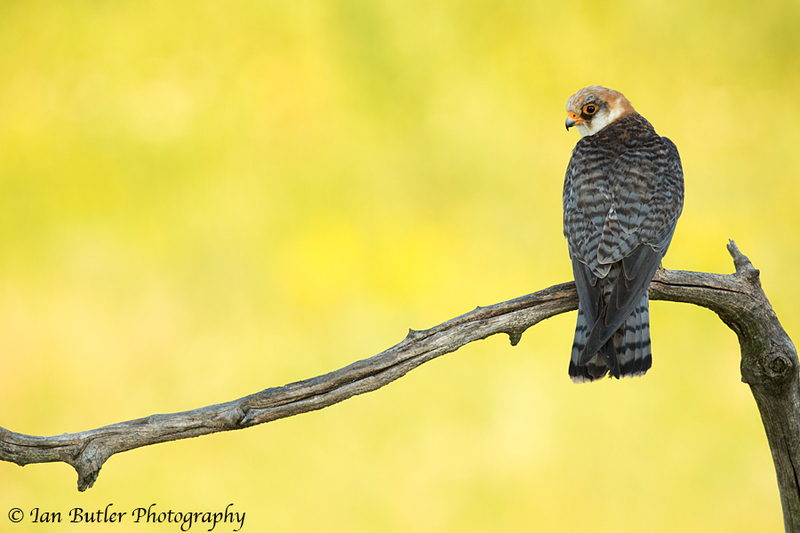 This time the subject is a female Red footed Falcon. Canon 5d Mk3 with Canon 500mm f/4.0 L IS lens. Red-footed Falcon, Falco vespertinus, Hortobagy, Hungary, June, 2012. Canon 5d Mk3 with Canon 500mm f/4 L IS lens. A technique I’ve been using more and more recently is where the conditions in the background are bright and the subject is in shadow. Here is an image of a Turtle Dove in such conditions. Turtle Dove, Streptopelia turtur, Hungary, June, 2012. Canon 5d mk3 with Canon 300mm f/2.8L IS II lens and Canon 1.4x III converter. Another image of a Grey Heron taken with the Canon 100mm macro lens. 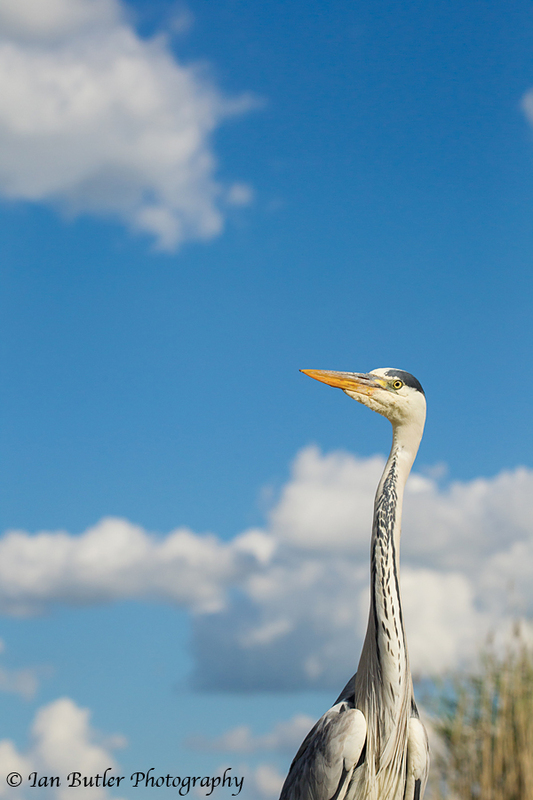 Wanting a composition that was slightly different, I placed the heron in the bottom right of the image to show off the clouds in the background. 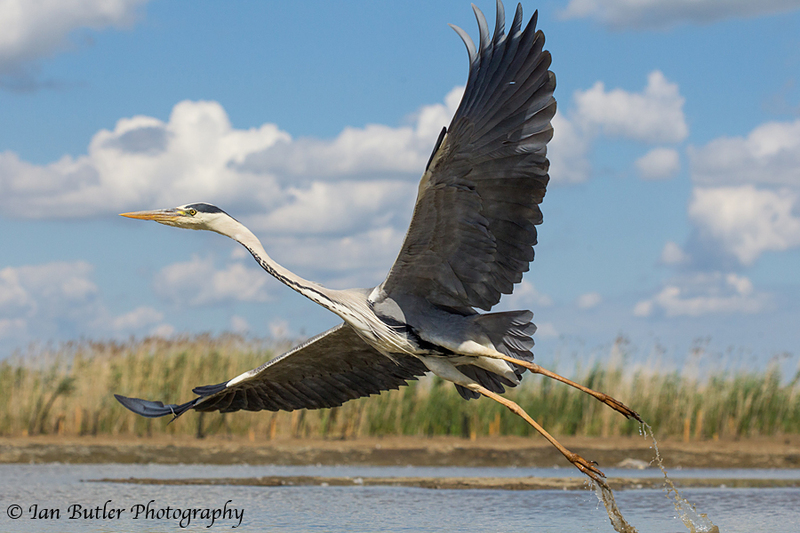 Grey Heron, Ardea cinerea, Hungary, June, 2012. Photographing birds with a shorter focal length is always difficult due to the shy nature of most species. Using a hide at water level this Grey Heron proved to be too close to photograph with a 500mm so I swapped to a 100mm macro lens just at the moment of take off. An image from South Uist when I was photographing in a force 6 gale! These gannets were mesmerising to watch as they used different flying techniques to move over the ocean. The ‘shearwater’ technique of flying was most popular to get through the gales. I found a large boulder on the beach to hunker down behind to get out of the wind and spent at least 2 hours photographing their comings and goings. 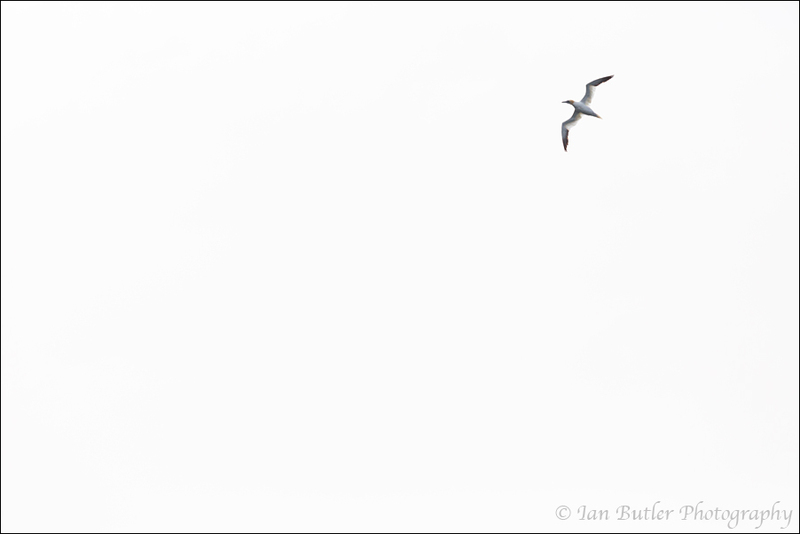 This image is one of the more abstract of the series and is actually a colour image. If you look very carefully you can still the yellow colour on the head of the gannet. Gannet, Sula bassana, South Uist, Outer Hebrides, September, 2012. Canon 5d Mk3 with Canon 500mm f/4 L IS lens and Canon 1.4x II converter. Following on from the previous post and not wanting to miss the first appearance of the Osprey I moved around to the opposite side of the reservoir. The mist was still apparent but no where as thick as it was. 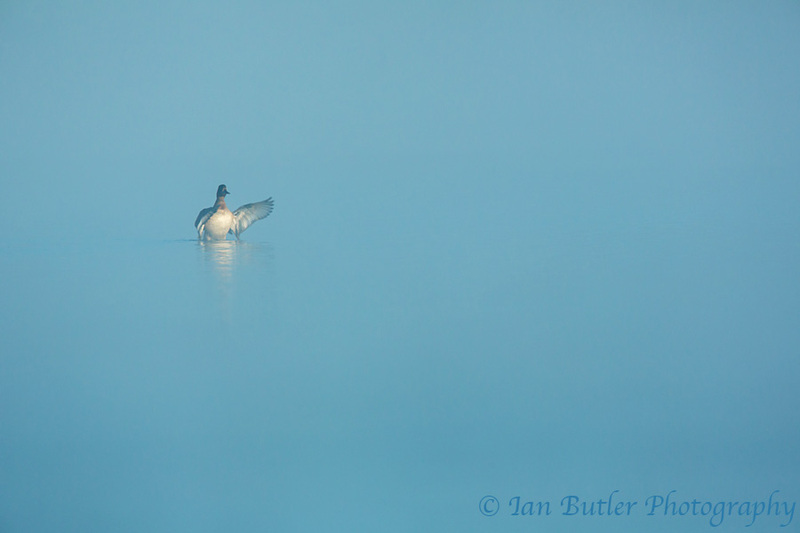 I noticed a female Tufted Duck bathing in the water and knew that she would flap her wings after she had finished. Setting up, it was just a matter of waiting. She was fairly distance so opted for a more minimalistic approach to the image. Tufted Duck, Aythya fuligula, Upton Warren, Worcestershire, September, 2012. Canon 5dMK3 with Canon 500mm f/4 L IS lens and 1.4x II converter.